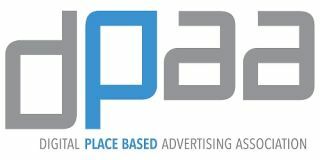 DPAA will lead a pair of Advertising Week sessions focusing on location data and programmatic. The panelists will examine the state of both technologies, present real world examples and make projections on how they will impact brands in the coming years. It is anticipated that some panelists will be announcing new digital agreements and application launches. "Digital out-of-home's great strength is that is can reach today's mobile consumer outside the home with relevant, targeted ads," said Barry Frey, President & CEO of DPAA and moderator of the panels. "These sessions will address some of the game-changing technology that is fueling the growth of the DOOH sector, and more importantly will focus on what it all means for the future of brands and how they will impact consumers." "Digital Out-of-Home & Programmatic: Current Practices, Future Growth"
are now, and plans for continued growth. "How Location Data is Transforming Advertising"
out-of-home deliver a one-two punch!